With the looming shift in demographics happening within Ontario workplaces, employers need to start critically assessing their HR needs in order to better prepare themselves for an aging workforce. On the other side of the token, 60% of Canadian worker now expect to work beyond retirement age according to recent results from the 2015 Sun Life Canadian Unretirement Index. The sad part about this finding is that most workers plan to work beyond age 65, not because they want to, but primarily out of fear that they won’t have enough money (savings plus government pensions) to sustain a basic living. Other research also supports baby boomers working longer and delaying retirement among those in professional careers who are highly educated where the nature of their work is less physical. Given these findings, both the workforce trend and worker's retirement sentiments appear to be aligned. This is good news as we may not see the mass exodus of baby boomers retiring at the same time as experts had initially warned. However, the fact remains, a significant labour shortage still exists. Therefore, it is vital that employers plan for this and implement proactive strategies to encourage and accommodate older workers to stay in the workforce longer. According to the Aging Workforce Study conducted by the Regional Municipality of York (2011), it outlined several actions businesses can undertake to attract, engage and retain older workers. Simply talking to employees about their plans long before they reach retirement age can take the guesswork out of workforce planning. This is a critical exercise that can prove mutually beneficial to both employers and employees in identifying specific needs upfront and devising a plan to address. The recent legislation on the Accessibility of Ontarian Disability Act (AODA) and the government's push for compliance highlights the need for employer's attention from two fronts - at the customer level and within the workplace. Compliance with the AODA is the first step businesses can take towards positive efforts to accomodating the older population. Skilled labour is considered a commodity. Businesses will want to consider long-range workforce planning in order to retain competitive advantage and to provide for future growth needs of the company. This is especially important for critical management positions to ensure organizations are not left with a gaping talent hole that can pose a risk to the success of a company when certain key roles are left vacant due to unplanned departures or retirement. Knowledge transfer is the key element to consider in order to achieve success with succession planning. Employers who rise to the challenge in effectively planning for an aging workforce will be the ones who are better positioned to meet an organization's future growth demands - which in turn will help secure it's future prosperity. For more details on the Invest in York-Aging Workforce Study, please click here. We'd love to hear what progressive companies are doing to prepare themselves for an aging workplace. Leave us a comment and share your thoughts. Or, if there is anything Strategywise HR can do to better position your company to meet your future HR needs, feel free to connect with us or send us an email to info@strategywisehr.ca. 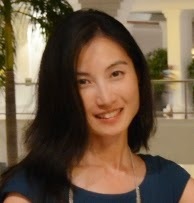 Belle Yuan is the founder of Strategywise HR. She is professionally designated as a Certified Human Resources Leader (CHRL) with a wealth of corporate experience in human resources and labour/employee relations. Her passion lies in working with conscientious employers in developing proactive strategies that will engage, problem solve, and reduce HR risks and costs in managing staff. She genuinely loves to help and regularly shares her expertise through blogs, and social media and has been featured in the Canadian HR Reporter. To learn more about her, follow her on social media. We offer specialized HR consulting services in Employee and Labour Relations. Our boutique firm is passionate about helping small mid-sized businesses avoid common pitfalls in managing staff and reduce their employment risks and costs as a result. Serving Companies within the Greater Toronto Area including: Toronto, Scarborough, Etobicoke, Vaughan, Concord, Woodbridge, Richmond Hill, Markham, York Region, Newmarket, Aurora, Mississauga and Barrie. Reach out to us through phone, email or social networking! Copyright © 2015-2017 Strategywise HR Inc. All Rights reserved.